Placid waters, tropical foliage, and beautifully diverse materials come together to create Tranquil by Candice Olson, a Designers Series wallpaper collection from . 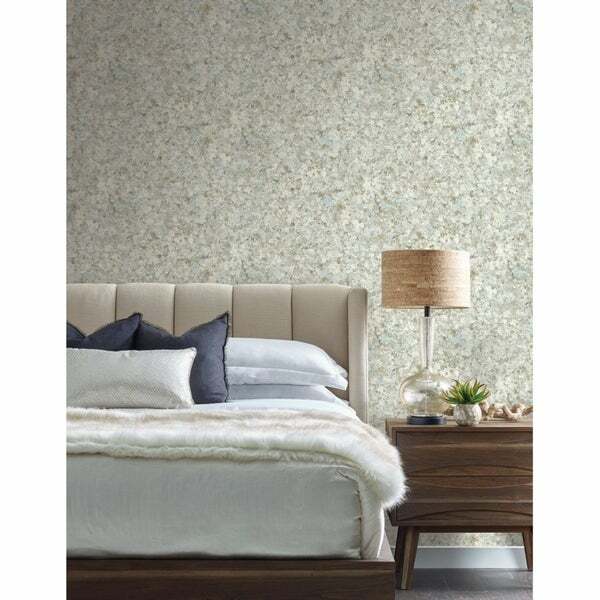 Created with the highest quality of craftsmanship, this wallpaper is unpasted and uses a light to medium weight paste for easy application and removes from primed walls. Emanating the healing peace of nautre, Zen Crystals Wallpaper features swirling monochrome colors tipped with precious-metal-like hues.